Held at the Film Society of Lincoln Center and IFC. The annual Human Rights Film Festival goes where so many fear to tread by devoting attention to people and issues that are so often ignored and neglected. Travel to distant countries, and observe how different cultures and societies are run. “Evaporating Borders: A Story in 5 Parts” directed by Iva Radivojevic, is a 73 minute film about migrants who travel from Syria to the island off the coast of Syria and Lebanon, Cyprus. Sharing the viewpoints from many perspectives; the migrant, the case worker, the locals, and the government, the film makes a powerful impact. The viewer is reminded how migrants risk their lives on a daily basis, traveling by boat from countries in turmoil with the hopes of settling in a nation in the EU. Many travel from Tunisia to Croatia and Italy, or from Syria to Cyprus, as Cyprus is considered one of the easiest ports of entry. All too often, the outcome is unsuccessful. Cyprus, a multicultural island with a Greek Cypriot majority and a Turkish Cypriot minority, consists of a population comprised of 25% immigrants from Sri Lanka and the Phillipines, Russians, Christian Orthodox, Eastern Europeans who fled the Balkan Wars, Romanians, Bulgarians, and Bangladeshi, Chinese, and African college students. The Capital of Cyprus, Nicosia, is the only military divided city in Europe. In 1974, Greek Cypriot nationalists attempted a coup d’etat, Turkey invaded Cyprus, turning many Cypriots into refugees. Many refugees make their way from Syria, Iran, Sudan, Afghanistan, Palestinians from Iraq, and Egypt, and register as asylum seekers at the immigration center. As can be imagined, they come searching for stability and a better future for their children. In Syria, many of their families have either been threatened, disappeared, or killed. A 5o year old Palestinian professor and Physics researcher, who was born in Baghdad, Iraq, and left Syria with his wife and son to escape the suffering, traveled into Cyprus using fake Algerian passports. He shares his heart wrenching story of the discrimination he has faced. Listen to the case workers side of the story, and their conundrum of where the migrants are supposed to live and work in the small nation of only 800,000 people. The migrants will often lie about their religious beliefs, and health status, in order to be eligible for benefit pay. Resentment builds from the locals who work for low wages, as they see the refugees receive pay for doing nothing. The Anti-Fascist parties also share their negative feelings towards the migrants, and believe they bring problems to the country, such as, unemployment. The harsh reality; tent cities, benefits being taken away, long hours, low wages, missing children, hunger strikes and suicide, plagues the area. Migrants are starting to believe that they are criminals who have overstayed their welcome, meanwhile, the EU has offered financial assistance to the Cyprus Government in order to cover Asylum seekers’ benefits. The laws the migrants are entitled to are also discussed. Apartheid, Yearning for Freedom, Reconciliation, Forgiveness, and Transition to Democracy. The writer and director of “Nelson Mandela: The Myth and Me,” Khalo Matabane, begins his film with him typing and narrating a letter to South African, anti-apartheid revolutionary, and former President of South Africa from 1994 to 1999, Nelson Mandela, or “Madiba”. The letter begins with Khalo confessing that he was just 7 years old when he had first heard about Nelson Mandela, and states, “My mother was very hopeful that you would free South Africa from apartheid.” Khalo continues to reflect back on his own life, drawing parallels of the impact that Nelson Mandela made in history with his upbringing, as he lived through this historical time. Khalo recalls going to the store with his grandparents in the 1980’s and the humiliation they felt when they had to buy goods from the window, while the whites were allowed to shop from inside. Activists, leaders, and photo journalists, Greg Marinovich (photojournalist), Zubeida Jaffer (journalist and activist), Ronald Kasrils (Minister of Intelligence 2004-2008), His Holiness the Dalai Lama (Retired Political Leader in Exile), Binyavanga Wainaina (Writer), Elia Suleiman (Filmmaker), General Colin Powell, Selina Williams (Activist), Albie Sachs, John Carlin (Writer and Journalist), Professor Adam Habib, Nkwame Cedile (Activist), pay their respects to Mandela and discuss his “magnetism,” “leadership qualities,” “charm,” “anger,” “forgiving,” characteristics. 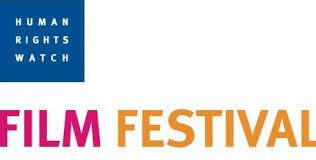 You are currently reading Human Rights Film Festival June 12-22, 2014 at One World Cinema.